The company InterVes specializes in the development and manufacture of the systems for automated industrial accounting in metallurgy, machine-building industry, metal processing and many others. 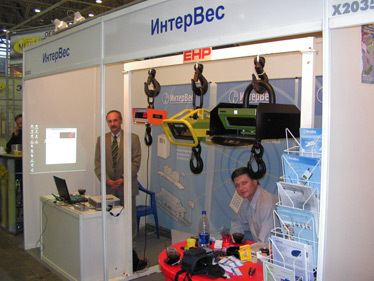 Now we are fulfilling several large international and Russian projects on automation of various processes. Automated weight registration and control systems software based on DataBox terminalis developed in compliance with requirements from particular enterprise. The systems can operate independently or interact with systems of a higher level (ERP systems). The InterVes Company and its partners pay a lot of attention to developing industrial unified electronic systems with various levels of complexity and designed for different purposes. Their main goal is to meet the current customer’s requirements in terms of registration, control, and automation of technological, warehouse, and other operations.